Unfortunately, since Google started charging to use it’s mapping API we have received US$180 bill for a months use and we have no income to support this so we had to switch off the maps until we can find another solution. We will have it up and running as soon as possible. If you have any suggestions please let us know! There is a trick though: if you save the bus route you can then view the google map on the ‘saved bus routes’ page! is this a private or govt bus service ? is there a AC bus from pettah @5.-5.30am on 1st feb ? i want to travel to udawalawe junction. is it stopping at udawalawe junc? Does this bus also go from B to A? And do you know where I can find the schedule? Where can I find the timetable for this bus ? 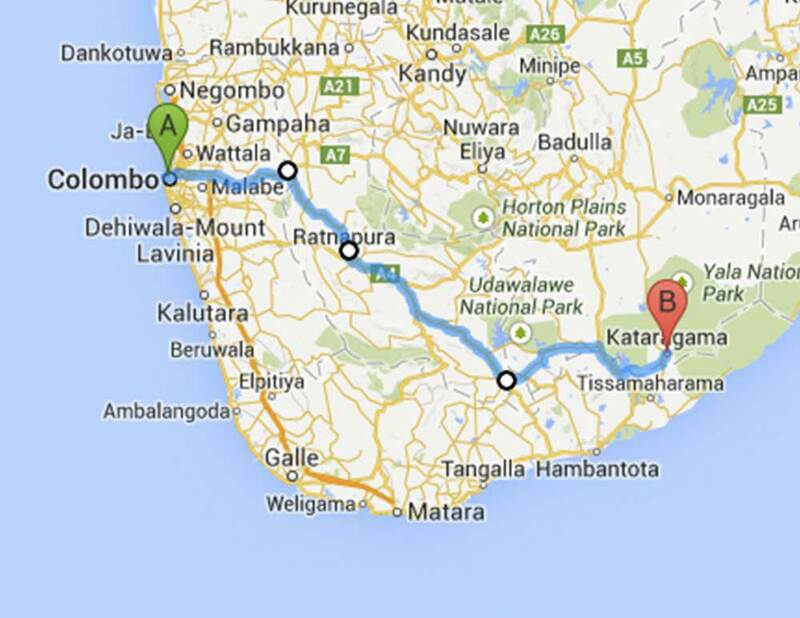 Hi, I would like to confirm that bus #3 can take me from Colombo to Udawalawe. Also, how often does the bus run? how long is the journey? Thank you. Please let me know what time do you this bus on Saturday (05.05.2018). I need to travel from Kotikawatta from early morning. What are the busses? governement and private?